Caleb Ossmann, building his Gothtober piece! The airport hijinx continues as we visit the haunted LEGO version of LAX’s famous terminal 4! Caleb Ossmann is the youngest artist that Gothtober has ever hosted! Caleb is 13 years old, he’s worked very hard on this gorgeous Gothtober piece for DAY 5, and we salute him heartily, great work, Caleb, thanks for showing us your amazing talents! As an Experimental Animation major at CalArts, I can tell you that animators have to be just a little insane to keep all those stop-motion pieces synced and fluid. The Young Ossmann shows us here that he is well on his way to becoming a master animator, and will undoubtedly create ever more fun and fascinating works of art. We’re very excited to have him aboard, he’s exactly the kind of insane we’re looking for when it comes to Gothtober Greatness! Fun Facts about Caleb Ossmann’s Piece for Gothtober! 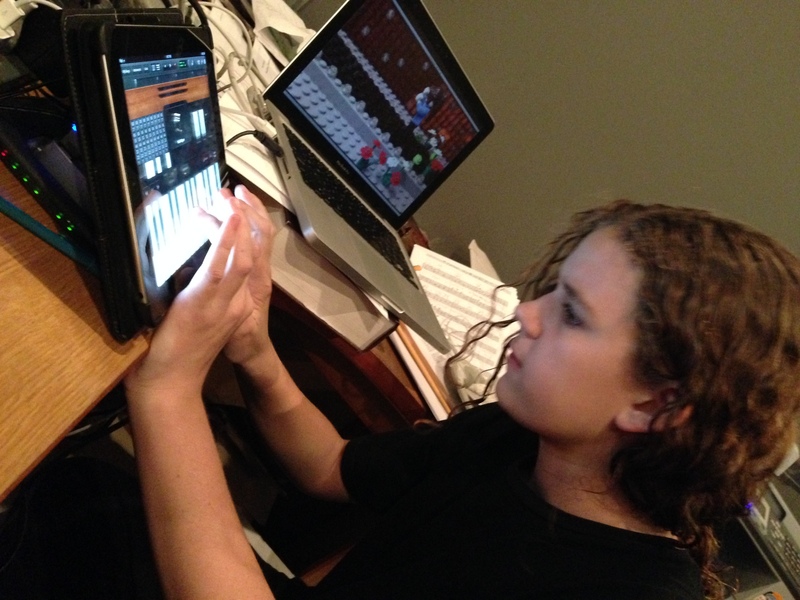 -Caleb has been making stop motion movies since he was 10. – He filmed all the work himself and composed the music in his dad’s studio. -The stop motion process took over 50 hours, and then some. -He also had an essay deadline about the constitution the SAME day! -The back wall is inspired by the famous LAX colored tile wall. -He made the whole movie in a closet under the stairs. 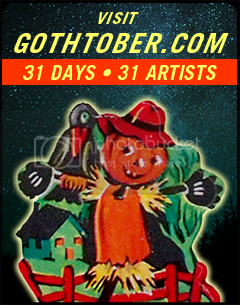 -Caleb and his brother Archer have appeared in past Gothtober offerings, most notably “Aunt Connie” starring Michele East and Barry Morse. The tile wall at LAX’s Terminal 4 is very famous, since thousands of people have seen them since their completion in 1961 by Charles D. Kratka (Oct. 12th, 1922 – Nov 8th, 2007). Some say the wall’s tile represented the changing seasons, other’s have heard the tile colors are supposed to symbolize flying across the U.S. Here’s a little video someone put on YouTube so you can experience the tiles for yourself!